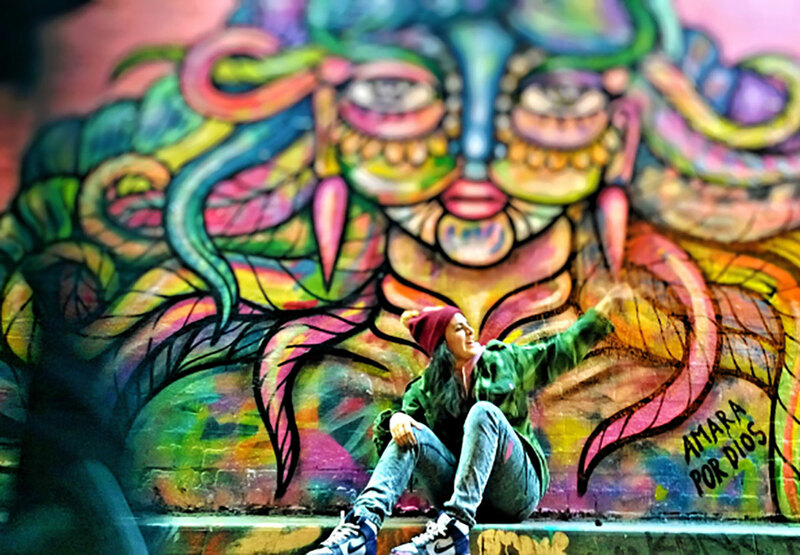 Although still largely male dominated, graffiti art is being increasingly taken over by women. Underrepresentation is partly caused by the overall less number of women in this art form and this has to do with the risk taking. On the other hand, a lot of talented women out there are getting overlooked. 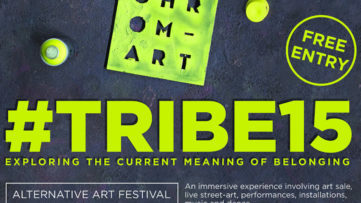 Since artistic creativity constantly evolves and knows no gender, the female presence grows. 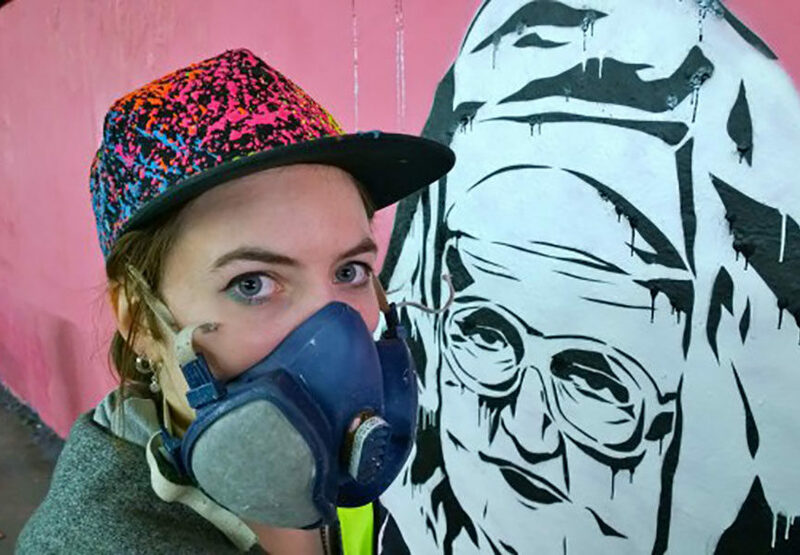 Women artists are beginning to make their mark literally which brings a new dimension to graffiti – a very important feminine touch. 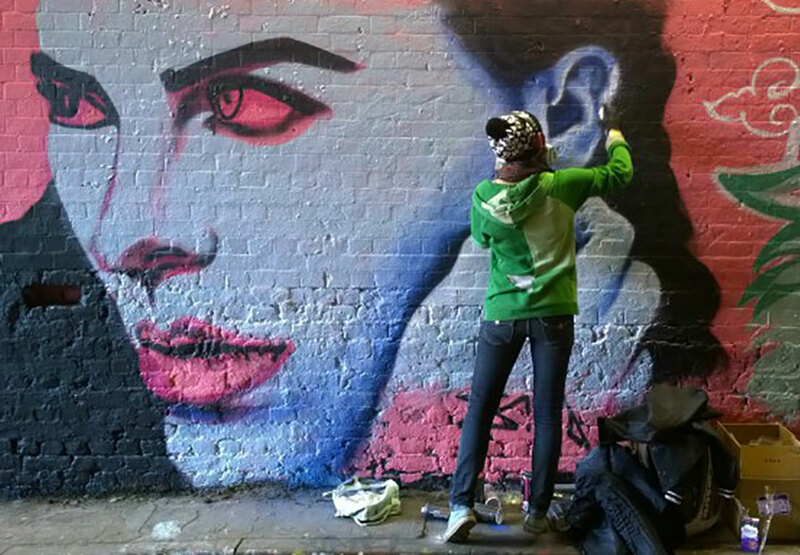 The recent all-female street art Femme Fierce festival, the largest of its kind in the UK promotes female artists. 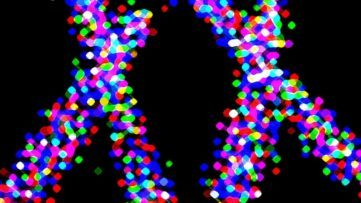 There more women in the game now than ever before and they need to get good attention. 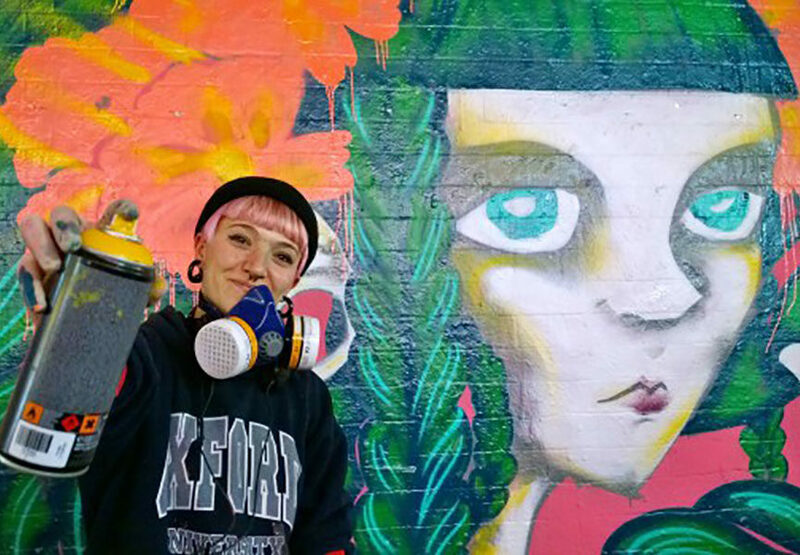 This year’s Femme Fierce included various workshops, exhibitions, street art tours, the ‘Women on Walls’ documentary film premiere and the Femme Fierce Leake Street Takeover. And when women take over the work, they set a record. 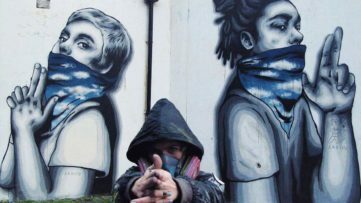 The famous Leake Street Tunnel underneath the Waterloo Station in London, affectionately known as the Banksy tunnel, is got the largest spray-painted mural by multiple exclusively female artists. 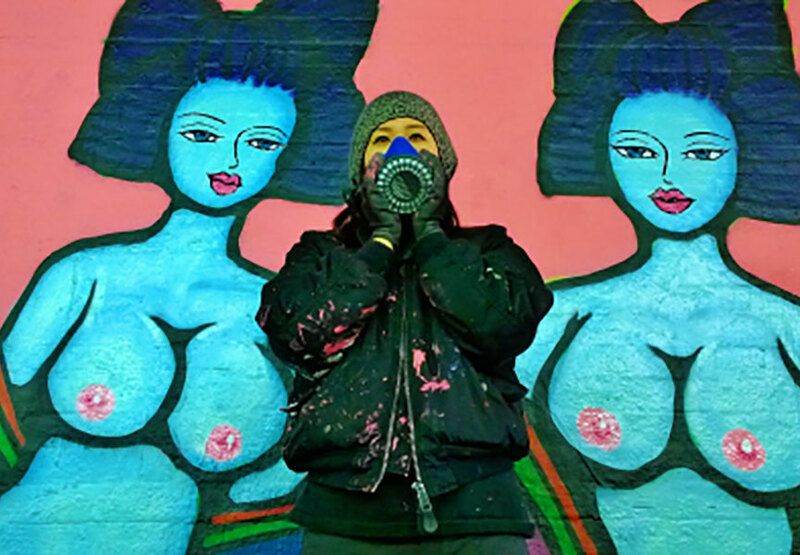 Over 100 international female street artists gathered on International Women Day on March 8th to create the continuous mural and set a new Guinness World Record. Sorry Banksy. 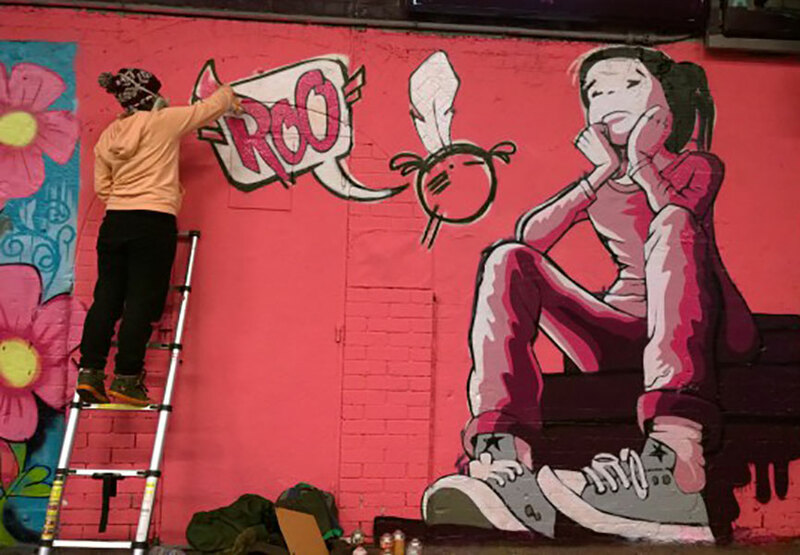 After the walls were turned into pink, not only to give a consistent background but also because of the symbolism, street artists from the Middle East, Africa, South America and Europe sprayed images and lettering to raise awareness for Breast Cancer Care and to celebrate International Women’s Day. 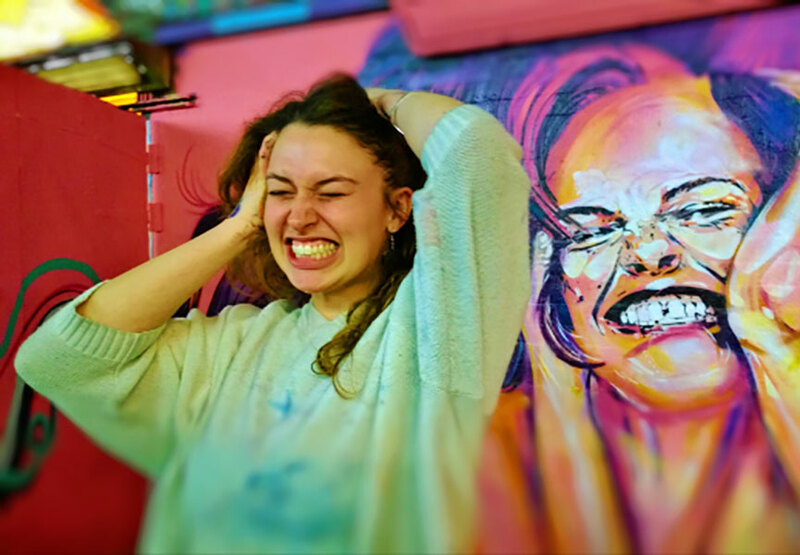 Among the many talented artists involved we draw your attention to Artista, Amara Por Dios, Hannah Adamaszek, Steffi Bow, Zina, Stephanie Thieu, CBLOXX, Zabou and Boxhead. 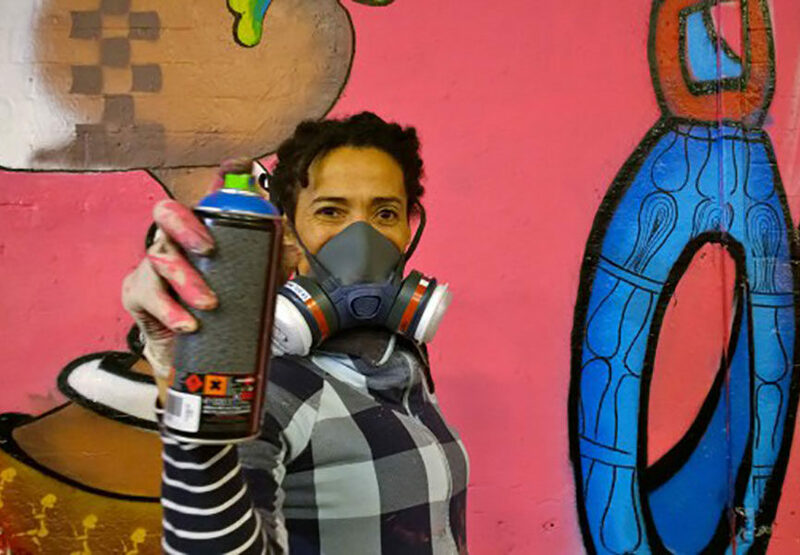 Organized by Ayaan Bulale from the Street Art Agency and supported by Earthtone Arts based out of Hackney Wick’s Cre8 Gallery, the Femme Fierce Leake Street Takeover has evolved into one of the most ambitious street art projects in London.